We offer Talmud Torah classes (for Hebrew language, Jewish rituals, values, and tradition) for kids from K-7th grade. See the main Talmud Torah page for more info. This multi-year, monthly celebration based on the ancient Jewish tradition of honoring the new moon fosters girls’ self-esteem, leadership skills & Jewish identity. The program was designed by Moving Traditions. You can learn about it here, but in short, it’s a safe (uniquely Jewish) environment for girls to articulate questions & concerns, be real with their peers, and have fun! For 2018-19 we will have two groups, a 6th/7th grade group led by Tracy Tessler and an 8th/9th grade group led by Sharma Rapoport. Contact us talmudtorah@tbieugene.org for more information. The Shevet program, also from Moving Traditions, challenges young men to think critically about and apply Jewish wisdom to the issues that matter to them most, including academic stress, friendship, body image, and peer pressure. Through supportive peers, an inspiring adult mentor, teens are empowered to grow into a healthy, successful, and connected Jewish adult. Josh Remis will be leading the Shevet program for our 8th-10th grade boys. 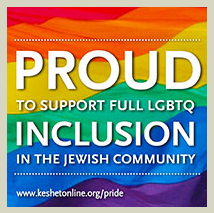 Moving Traditions is now offering national online groups for Jewish teens who identify as transgender, nonbinary, gender fluid, or gender questioning in partnership with Keshet. The groups, led by a trans or non-binary group leader, bring together teens from all over the country once a month for two hours via video conference. Each month the group will focus on topics like courage, friendship, stress, body image, spirituality. We will play games based on the topics, talk about them, explore some Jewish perspectives on them. As with Rosh Hodesh and Shevet, the group will draw on the best of those programs, except it will be online and have special content for trans, nonbinary, gender fluid, and gender questioning teens. Participants will get occasional fun packages in the mail with creative activities and supplies to use during the online sessions and to remind you of what you did together. We will have three Teen Limmud modules for the 2018-19 school year. Each module will consist of three hour and a half long classes in a topic of Jewish learning. The fall limmud module is with Rabbi Ruhi and Rabbi Jacob and will looks at progressive text based responses to religious fundamentalism. The winter and spring limmud modules will be chosen with input from the students in the fall session. INCENTIVES: Teens who regularly participate in Rosh Hodesh, Shevet, or Teen Limmud programs will have priority for the paid madrichim positions we have for Talmud Torah. These teen social gatherings can be purely fun (think a trip to Get Air, bowling, movie night) or involve a mitzvah component (Food for Lane county work party for example). Please sign up to coordinate one of the gatherings here. For more opportunities for Jewish teens and young adults outside of TBI, check out this page.